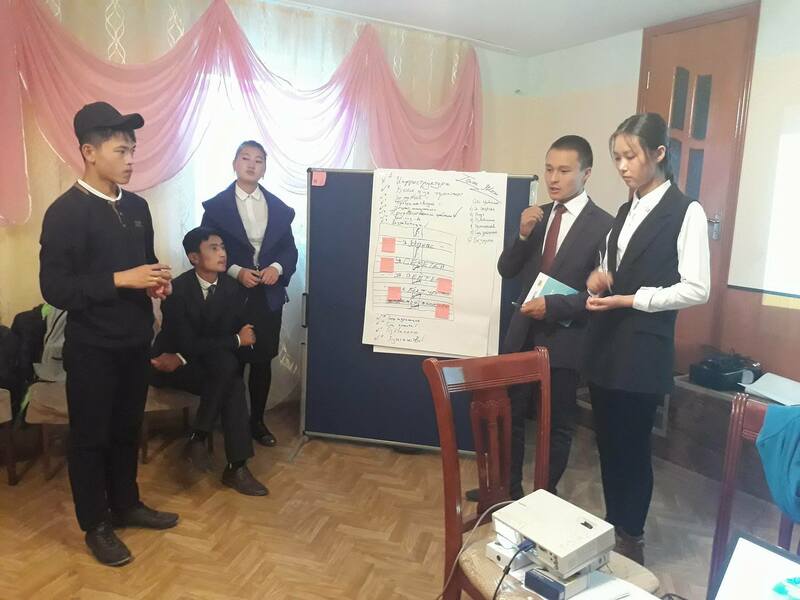 For the past two weeks 30 young people, from the village of Bokonbaevo (15 people) and the city of Karakol (15), have learned how to identify and analyze the needs of their community. Participants in the project "Youth in Action" are local activists aged 16-28. During the training equal trainers together with the sociologist taught participants how to develop questionnaires and use the KoboToolbox tool developed by Harvard University to identify the needs of the communities by the principle of participation. Based on the results of the survey public hearings will be held with the participation of local self-government bodies, business community, civil activists and local people. Activists will also present their decisions on the identified problems. The next stage of the project will be the implementation of advocacy projects aimed at solving significant problems of the communities. "I really liked the training. It was conducted interestingly and professionally. For three days I got a lot of new information and found friends of like-minded people. On the first day because of the new material many questions arose which were answered during the days of training. I liked accessible and understandable presentations as well as active involvement of participants. We are learning how to conduct research and hope that they will help many people", - said 17-year-old Sezim Askarbekova from the Bokonbaevo village. This project is implemented with the support of the Democratic Commission of the United States Embassy. Partners are youth volunteer organization "Leadership" (Karakol city) and "Ton Jashtary" (Bokonbaevo village).